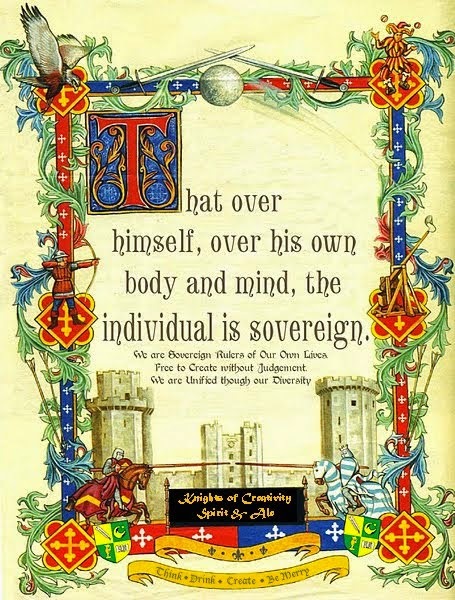 Well Knights and Ladies.. I'm sure you have missed me.....but I have been on a Mega Music ~ work related Magical Mystery Tour..in the freezing Foggy North..in the Maddest City in the whole of the UK ; Liverpool, where due to its unique location on this isle, it is an asylum for party going hedonists. Well, where to start. 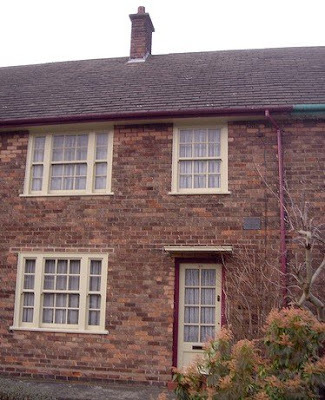 How about John Lennon's Childhood/teenage home 'Mendips'...where he and Paul used to write their first songs in the glass porch, below the small upstairs window, because his Aunt Mimi, didn't want the noise in the house. Its is now a National Trust House (sadly closed in winter) and is situated near the Village of Woolton. a few miles out of Liverpool, on a main road suburb. Half a mile away, up a lane is the entrance to the grounds of a Victorian orphanage where John used to go and play, against his aunts wishes, and he'd reply, "They can't hang you for it"...which later ended up in the song as "Nothing to get Hung about." These gates are a weird unkept (or kept as they were when he was there) Memorial for Beatles fans. A short way up the hill lane, brings you to the church of St Peter in Woolton, where McCartney and Lennon first met at a Church fete, and over the ensuing months used to hang around the graveyard sunbathing and writing their very first tunes. Here you will find the grave of Eleanor Rigby, which sank into Paul's subconscious to be used later as a song. Being on the ground in the area brings it home to you how close all the boys lived in their youth..the whole area forming a triangle between Lennon's house, McCartney's house, and the schools up by Penny Lane. Paul McCartney's House in Forthlin Road. Sat in the rain at Penny lane pondering the fact that the Beatles song is actually based on sites seen on Allerton Road (off which Penny Lane runs), and that Penny Lane is mainly terraced red brick houses. Allerton Road didn't scan as a lyric so Paul used Penny Lane, as it also sounded like a girls name. Then its catch a bus just as the the College going Beatles did..and go to the Liverpool Institute of Art in the south centre of the city. Where a music lesson could be heard going on through the lighted open windows in the upper storey. 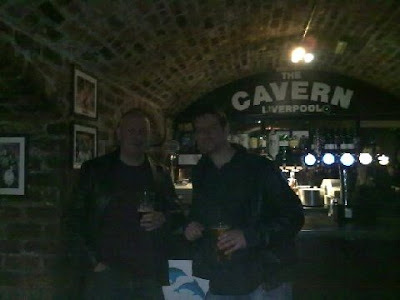 Of course no blog on the Fab Four would be complete without a stroll down Mathews Street, the street of the Legendary Cavern Club. Straight in through the door and down the winding Stairs and a few beers and cheers with an old Buddy, Stew, who now lives back in the city and met up with us for a few ales. People get up and perform Beatles Songs and the records of the lads early shows are played in between, and you can just about sense the tangible excitement of the atmosphere, even tho its not as dank and sweaty as it was back then (and they serve Ale). As the evening progressed, and our group grew and grew and we wandered from bar to bar sampling the music and heady hearty pleasures this City has in abundance, there was talk of Music really being a Religion; the way it gives us strength through the bad times, gives us joy in the good, how it uplifts us, and with words, sometimes help us make sense of things around us. 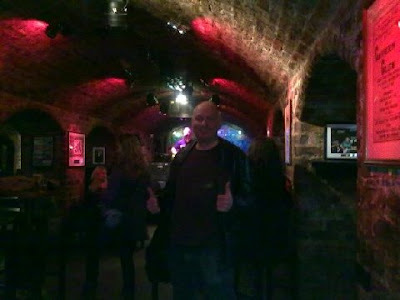 It felt too like a Pilgrimage, that, places like the Cavern club are really Churches of that Religion, and how the four lads who grew up in this hardy Northern town and who, "set out to save the world from Boredom" really believed it too. Well now. Glad that you're brushing up on your Tour Guide Skills for our next trip across the pond. Yes, Penny Lane now in my ears and in my eyes. Of course, you'll have to translate as I've learned that I don't speak or understand bloody Liverpool-ish. oh on a cold, wintery day in Indiana...what a treat to open up the blog and see your travel log! Thank you for brightening up this morning and sharing this with us! Lovely! Dare I say, I'm jealous! 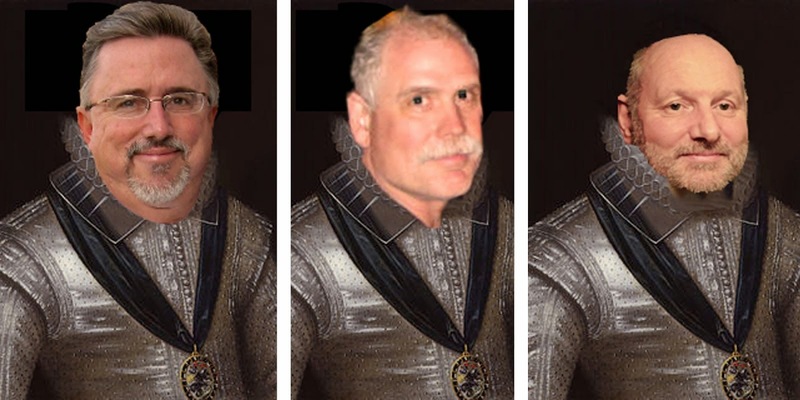 It was fun doing Abbey Road with you, Sir D...but you were holding out on the true roots of Liverpool. We expect a Mulligan on our next UK tour! LOL! It's good that I wasn't there, because I would have reported all the elements that you so modestly left out! Yes, music is the universal language of the soul, which makes it the truest form of religious and spiritual expression there is. As I like to say, "He who sings prays twice!" Church is anywhere the Spirit stirs you. I've had just as many religious experiences in dive bars as I've had in Cathedrals...actually many more. All great songs are grounded in reality. 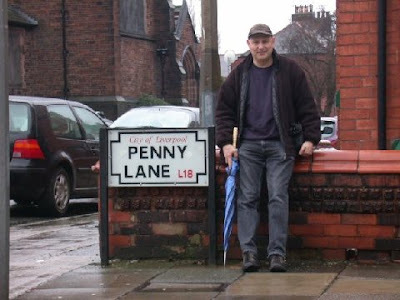 Penny Lane, Strawberry Field, Eleanor Rigby. I have written tons of songs, Tom Dinnies Hill, Park Lane, etc., which were real places of discovery for me; however, I'm no Lennon and McCartney for whatever reason. Again, excellent post and thanks for sharing your Magical Mystery Tour with us! Hey Lost in Scotland Great to hear from you...Hope you can vouch that Liverpool is an incredibly boisterous friendly City, with karaoke in many of the bars. I've come to the belief that Karaoke is Folk Music. Find above the link to a film we saw before going to Liverpool called Nowhere Boy, about the early Life of John Lennon, in all the areas in the blog.